I never eat something I know I shouldn’t. This, folks, is called being in denial. Denial is when you pretend something that happened didn’t really happen. Since my gut sprang a leak–make that lots of leaks–and I developed food allergies to many, many foods, I have sometimes been in denial. Okay, the truth is I was in denial a lot after I was diagnosed. I do not have celiac disease and allergies; it’s just a little indigestion. The lab must have gotten my blood mixed up with someone else’s– I CANNOT be allergic to that many foods! I am not allergic to corn. I am not allergic to corn. I am not allergic to corn. I can eat a tiny bit of soy. When the little voice in my head made these statements, I believed them to be real–as real as the pain in my gut. Denial runs in my family. My mother doesn’t go to the doctor because she doesn’t want to find out she has cancer. My college son didn’t want to admit he’d inherited celiac disease. After all, he’d taken a blood test and it had come back negative. The constant gut ache after eating, the lethargy, the weight loss must be from something else. What college sophomore wants to admit he has to give up beer and pizza? Who wants to spend their college years in the dorm bathroom either? Eventually acceptance comes. If you’re new to this, you may not be there quite yet, but you will be. You’ll decide you really can’t eat those cookies without developing an ugly rash all over your body. You’ll discover almond milk and Bard’s beer aren’t so bad. You’ll start focusing more on what foods you can eat, rather than all the foods you cannot eat. You’ll learn how to grocery shop, cook and eat out. You’ll accept life is different now, and that’s okay because you feel so much better. The other night I decided I could eat it (and unfortunately blasted this photo on Instagram). I’d read all about how Mellow Mushroom had taken great strides to ensure their kitchens were clean enough to produce gluten-free pizza crust. (Kudos to Mellow Mushroom!) I’d done my pre-dining out homework. I told the server I had celiac and wasn’t just on some fad diet. I ordered veggies as toppings to avoid any possible soy, corn, or gluten. I asked for Daiya nondairy cheese. I ordered a gluten-free New Planet beer. BUT I “FORGOT” TO ASK WHAT OTHER INGREDIENTS WERE IN THE CRUST!!!!! How stupid was that? I think I just wanted to eat pizza and have a beer and watch basketball like all the “normal” people sitting around me at the bar were doing. I told myself I’d be safe with the gluten-free crust. If there was a little bit of egg or corn in the crust, I minimized what it would do to me. Later that night, as I doubled over in pain, I looked up the crust ingredients on the company website. Oddly I found listings of ingredients in several places, but they were all different. However, it’s pretty likely I ate soybean oil, cornstarch, and egg–a hattrick of allergens. Guess I needed a little reminder that denying my food allergies only makes for a really bad night. P.S. 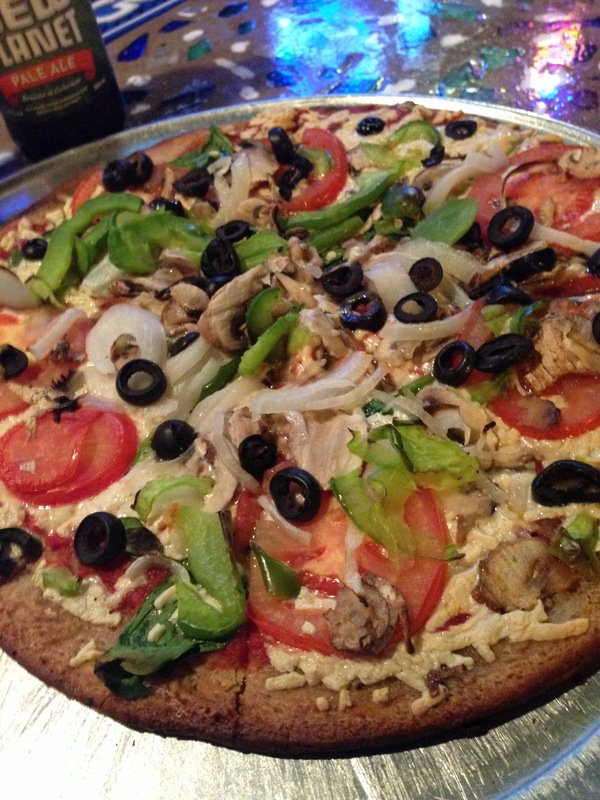 If you have celiac disease or are gluten sensitive, the Mellow Mushroom crust was delicious. Please note though that they cannot guarantee any menu item can be completely allergen-free due to possible cross-contamination. Denial, or Why I Ate That Damn Pizza originally appeared at Adventures of an Allergic Foodie. Hi, Robyn. Celiac is not curable, unfortunately. I’m not a medical professional, but in regards to my leaky gut, I am no longer developing new food allergies (knock on wood), but my old allergies aren’t letting up one bit. I was told by doctors most of my allergies should go away once my gut healed, but that hasn’t happened. sadly. Thanks for reading! I test out food every once in a while, and sometimes get sick and sometimes not, but i don’t like to make a habit out of it. might as well have eaten a regular pizza! Oh that evil sidekick “Denial”. I am sharing Amy’s story because we all have those voices inside our head trying to get us to do what we shouldn’t or to skim over the list of ingredients. Thank you Amy. Denial – darn him/her for getting you into trouble. Yup. Don’t think I will be making that mistake anytime too soon! Thanks for reblogging too! Hi,Danica. This is Amy who wrote the post. Waitstaff varies on the knowledge of celiac disease; that’s why it’s important for those with cd to advocate for ourselves. 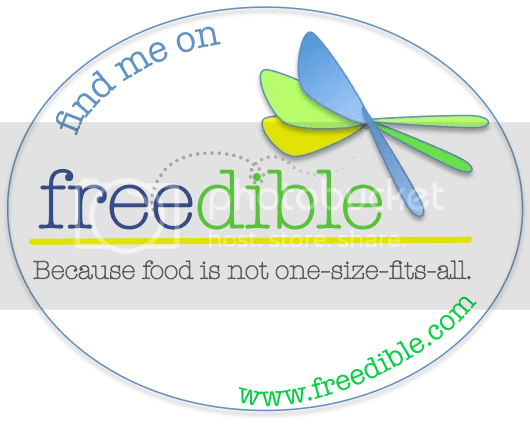 I really don’t “cheat” and eat gluten because celiac is so serious, but I do stick my head in the sand in regards to my less serious food allergies–and then I pay for it! Thanks for asking! There are times that I think having abdominal pain would be preferable to acting drunk. In my early teen years whenever I drank cherry soda, I got drunk. None of my friends noticed anything because we were all having a good time, but I knew I felt funny and stopped drinking it. After developing an allergy to Pepsi, I started researching food allergies. It seems most of the allergies are caused by food colorants. I have to take my chances with what I eat since most everything has some colorant in it. It seems I’m bothered mostly by whatever is used in fizzy beverages since I’ve rarely (once actually) had any symptoms after eating food. Only a few months ago, my husband and I had lunch out then went to Lowe’s. I did’t have anything different for lunch than I’ve eaten before, but that day something set me off. I bought a curtain rod and by the time we reached check-out, I was shooting people with the rod. I knew what was happening, but could not stop myself. Even my poor husband did not recognize I was in trouble.